Thanks to a water main break, students at the University of California at Los Angeles recently dealt with a giant hole in their roadway and millions of gallons of water flooding their homes and streets. While many people think that water is something that never fails unless there is a natural disaster, that isn’t always the case. A clumsy construction crew, or dilapidated infrastructure, can leave you high and dry. When the water main burst, it flooded the area, including a nearby parking garage, leaving hundreds of cars trapped. Many people assume that should they lose water, they can just leave and go to the store for some extra water, but people in this L.A. neighborhood weren’t going anywhere. While none of the utility customers were without water, they were lucky. It could have been days before they saw a single usable drop. Are you ready in case something like this should happen to your home? It doesn’t have to be an urban environment either. This can happen in small towns and rural areas just as well, especially during cold winter months. When a pipe bursts and there are 15 inches of snow on the ground, there is no telling when a plumber might be able to make it there to fix it. At its peak, the water main break was releasing 75,000 gallons of water per minute, and all told more than 20 million gallons leaked out before being fixed. Imagine that much water suddenly rushing out into the open and the damage it can do to cars, foundations, homes and people. Suddenly, your lawn is flooded, and you’ve got no water. People don’t realize how much water they use in a day. It’s not just cooking and drinking that uses it up. How many times per day do you wash your hands? How many times have you saved yourself from a cold, flu or other illness because of this simple act? When your clothes get dirty, you put them in a washer. When dishes are dirty, you wash them clean. Now, imagine going several days without the use of water. The dirty dishes pile up drawing flies and other insects. The clothes can pile up until there is nothing clean to wear. Soon, germs proliferate and illness runs rampant. It’s always a good idea to keep bottled water on hand in case of emergencies. The more water you have, the better off you are. The main use will be for drinking, and you should keep at least a week’s worth on hand. If you have access to a well as a secondary water source, then that’s even better. It’s important that all well water is run through a filtration system to get out sediment and other particles that can be harmful. People take for granted the precious substance that comes out of their taps every time they turn on the faucet. When it suddenly doesn’t flow, many people don’t know what to do. Don’t be one of those people. 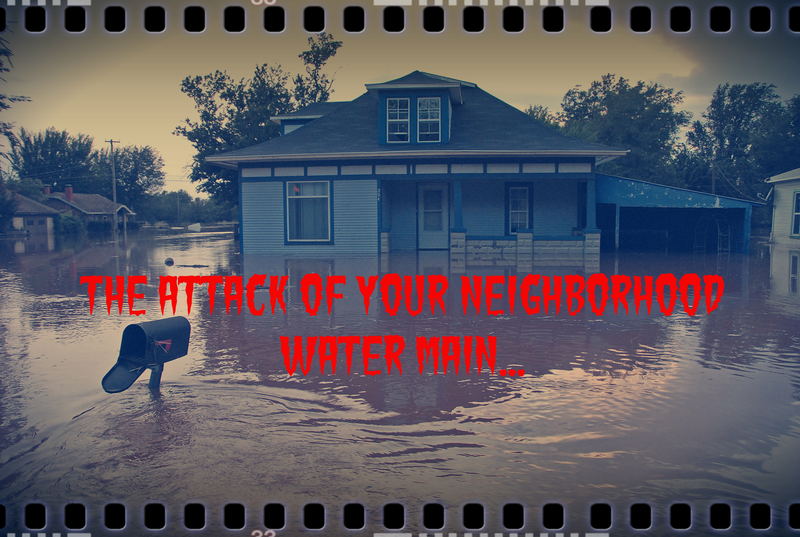 This entry was posted in Emergency Preparedness, Emergency Survival, Survival News and tagged water main break on August 5, 2014 by David Adams.